"Roku TV has set a new bar for the smart TV experience. 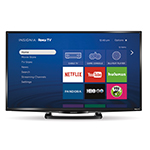 From the personalized home screen, to Roku Search that searches across many top streaming channels, to the largest selection of streaming channels available on a smart TV, Roku TV delivers an experience consumers truly love"
LAS VEGAS--(BUSINESS WIRE)--(CES) – Roku, Inc. today announced that consumers will soon be able to purchase Roku TV™ models manufactured by Insignia. 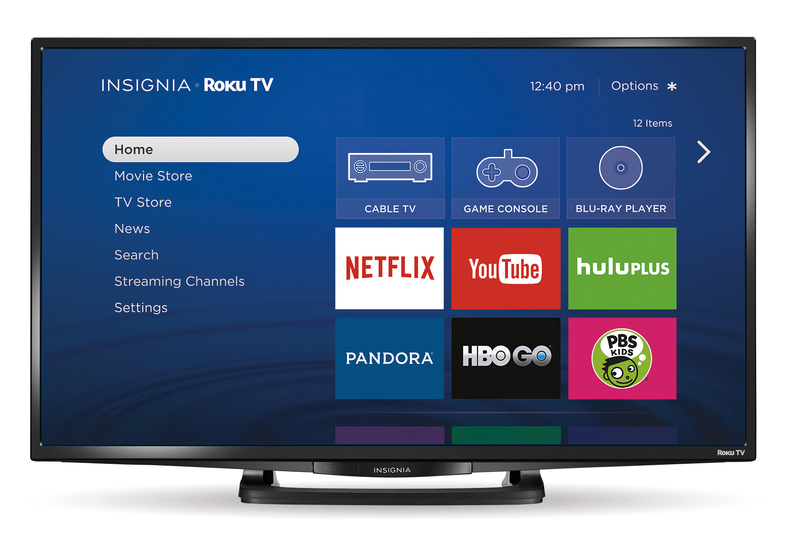 Beginning this spring, Insignia Roku TV models will be available for purchase exclusively at Best Buy stores and at BestBuy.com. Roku TV is a new generation of smart TVs built by TV manufacturers using the Roku TV reference design and the Roku operating system (Roku OS). Roku TV places all of a consumer’s TV entertainment sources front-and-center through a simple, personalized home screen. Roku TV also provides the widest selection of streaming options available on any smart TV in the U.S., giving consumers access to more than 2,000 streaming channels. The Roku TV personalized home screen brings all TV entertainment choices, including devices such as gaming consoles, cable boxes and Blu-ray players, together with their favorite streaming channels. Consumers no longer need to navigate through multiple inputs and complicated menus that have plagued other smart TVs. Now, with just a few clicks of the remote, consumers can watch a live television show, stream a movie or listen to their favorite song all from their Roku TV home screen. Roku TV provides access to the Roku Channel Store, which includes more than 2,000 streaming channels that feature 200,000+ movies and TV episodes plus live sports, music, news, fitness and much more. In addition, consumers can use Roku Search to find availability and pricing for movies and TV shows across top streaming channels. They can also search for actors and directors and view filmographies. Consumers control Roku TV with a simple and intuitive remote control, which has half the buttons of a traditional TV remote and includes a directional pad for additional convenience. Roku TV can also be controlled with a mobile device using the free Roku mobile apps for iOS, Android and Windows Phone. Consumers can cast Netflix and YouTube as well as personal video, photos and music directly from their mobile device to Roku TV. The Roku TV OS has been named a 2015 CES Innovation Awards Honoree in the Software and Mobile Apps category and TCL Roku TV will be displayed in the Innovation Showcase located at CES Tech West, Booth #75545. The new Insignia Roku TV models will be shown tonight at Pepcom’s Digital Experience media event.